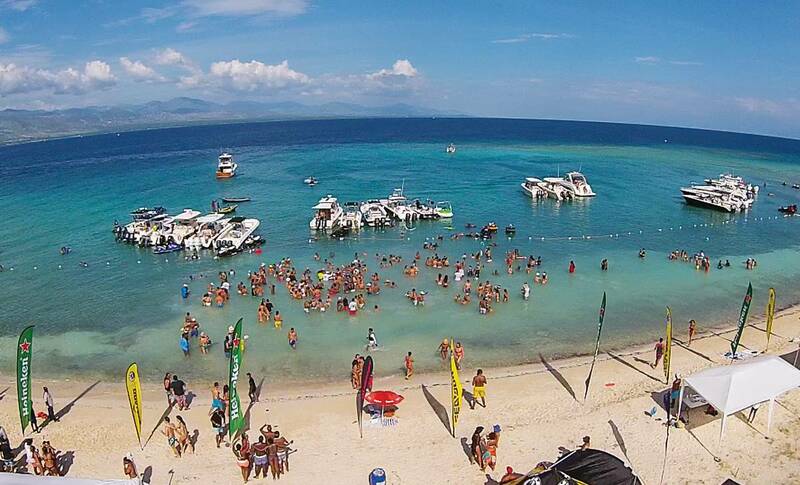 One beach, One party, multiple boats! Get your ticket for Le Getaway and join the biggest beach party of the year. 10:00 am from Marina Blue Haiti at Moulin Sur Mer (Parking lot situated after Moulin Sur Mer's main entrance) Please be on time. **A refund will not be issued if you are not present at the time of departure. From 10 am until 4:30 pm approximately (if the weather conditions are favorable). Marina Blue includes transportation to and from the site on comfortable boats, which includes towels, snacks, food, beer, rhum punch, soft drinks, water. service, storage space to keep your belongings dry/safe, and a cooler with ice, cups and bottles of water. The "Le Getaway" bracelet must be purchased separetly and will not be included with your transportation fee. Every passenger must have a valid "Le Getaway" bracelet on hand at the time of check-in at Marina Blue to have access on our boats. Your "Le Getaway" bracelet (purchased seperately) will give you access to the party. 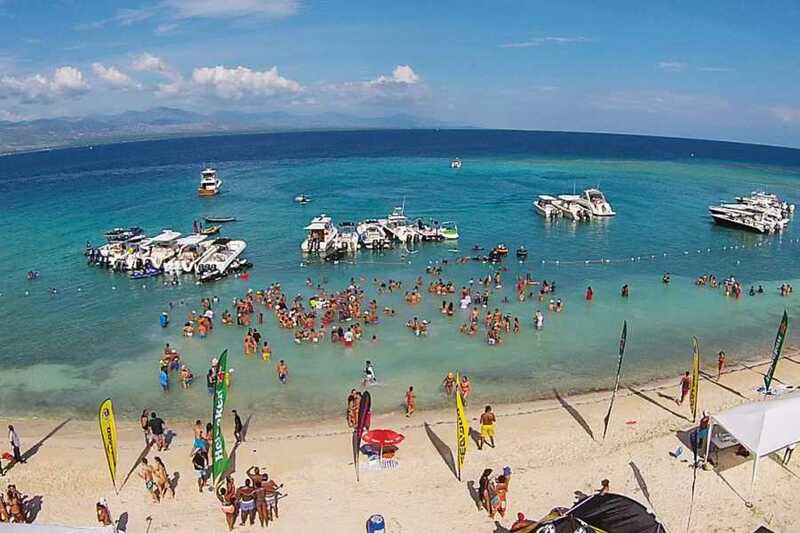 Marina Blue includes transportation to and from the site on comfortable boats, which includes towels, snacks, food, beer, rhum punch, soft drinks, service, storage space to keep your belongings dry/safe, and a cooler with ice, cups and bottles of water.